These days domain renewal prices are so high so people ends up moving their domain names to other places once the expire date is getting close. 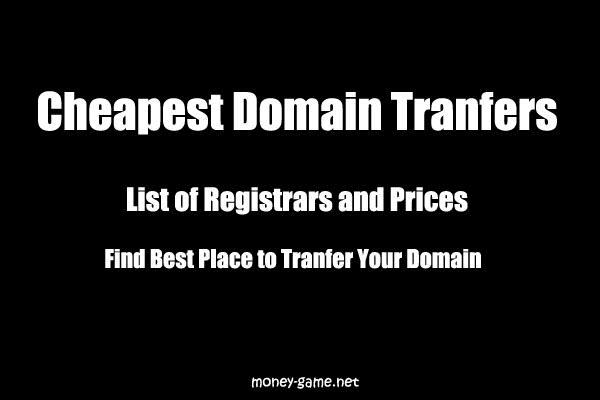 This is when you desperately looking for cheap domain transfer options. Even thought you get nice 99 cent domain registration codes from Godaddy, their renewal prices are way too expensive so many would just transfer it to another registrar. But there are several things you need to consider before transferring a domain name to another place. You must start the transfer process at least 14 days before the expire date. Well I have transferred domains from Godaddy even within 7 days but I don’t think it would worth the risk. Other registrars might not be that nice and also it was several years ago so even Godaddy has changed their polices. If it’s a newly registered domain name then you must wait at least 60 days before transfer it another place. So if you want to hand over your new domain to someone else then best way is ask the person to create an account at same domain registrar and push the domain to that account. You need to check if your domain name is locked or TransferProhibited at current registrar. First you have to unlock the domain. Make sure the domain owners email address is upto date. Because that’s where current registrar will send domain authorization code. Most domain registrars won’t let you transfer a domain for 60 days if you change it’s contact details. So you have to remember that too. If you do an account change at Godaddy (push domain to another Godaddy account) you have to wait for 10 days before transferring domain out. So once you find a registrar which offer cheap domain transfer you have to pay this transfer fee to receiving registrar and you get 1 year extension for that. Make sure everything in perfect order before initiating the domain transfer process.